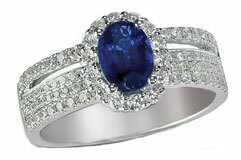 Kyanite rings are treasured for their beautiful deep blue sapphire like color. 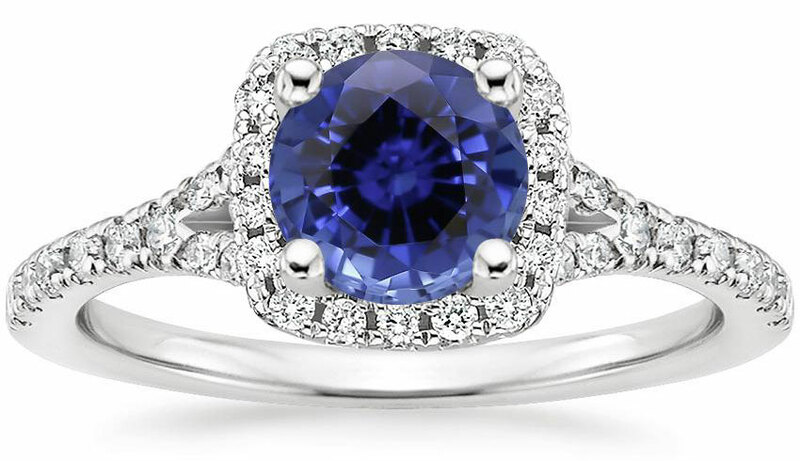 This unique gemstone is a perfect choice for blue engagement rings, men's gemstone rings and affordable eye-catching wedding rings. To find out more about this little known gemstone, take a look at the info below about the kyanite stone including properties, meaning, special care, price guides and tips that will help you to find a quality cut kyanite for the right price. And if you have any questions about kyanite rings, just use the handy comment box at the end of the page to send in questions, reviews, comments or kyanite pics to share with future visitors! The name kyanite is from the Greek word ‘kyanos’ which means blue. And this intriguing blue gemstone displays a high amount of brilliance and fire when given a cut like a princess or brilliant round cut. Kyanite colors naturally come in green, white, blue, gray, and black colors, but for most jewelry purposes the blue form of the gemstone is used. 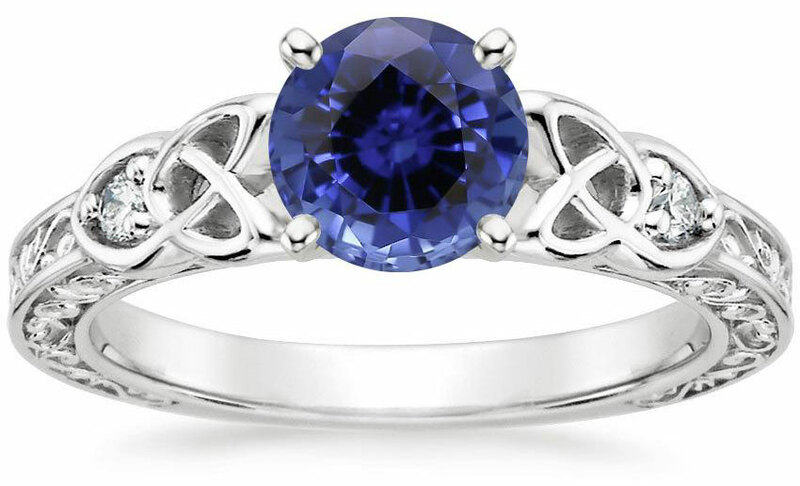 The kyanite stone can be a challenge to cut, and will need some special care, but overall a quality kyanite set ring will be cherished for many years to come. 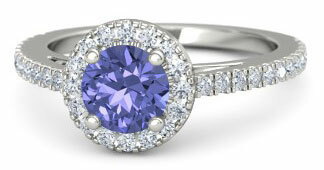 What About Kyanite Gemstone Enhancements? Unlike many types of popular gemstones which are commonly enhanced to improve their color - or durability - kyanite gemstones receive no enhancements at this time. Kyanite is currently found in Brazil, Burma, India, Kenya, Mozambique, Nepal, Russia, Switzerland, and the United States. (*Note: Until ethical standards have improved in Burma, shoppers should avoid any gemstones sourced from this country). Kyanite is believed to gift the wearer with supernatural abilities including foresight, dreams with insightful messages, the ability to meditate deeply, and reaching into the subconscious to discover hidden truths. Kyanite is also believed to be a calming stone which can soothe anger and agitation and lift depression. Kyanite has a perfect cleavage rating, which means that the stone can split or fracture if it is hit from a certain angle on a specific point. Kyanite gemstones also have a unique type of hardness property because the hardness of the stone varies according to the angles being measured - and for this reason, one kyanite stone can have a wide range of hardness ratings across the stone. Due to the gemstone's cleavage and hardness properties, those who wear kyanite rings need to take care not to expose the ring to any hard blows or knocks. Kyanite costs an average of $50.00 per carat, but the value of a kyanite gemstone depends on the color, cut, and clarity of the stone. The most highly valued kyanite stones are dark blue in color with a luminescent transparency and a uniform blue color throughout the stone that displays visual depth. As this type of gemstone is difficult to cut due to its cleavage properties, a quality or custom cut kyanite gemstone will fetch a much higher price. Stones which have a good eye clean clarity rating and which are free from obvious inclusions or blemishes are also valued at higher prices. Larger carat sizes can increase the overall cost of the ring, but the three most important C's for this gemstone are color, cut, and clarity. Quality kyanite rings may sometimes be difficult to find because of the challenging aspects of cutting this stone - while plenty of round and polished kyanite stones are available, those with custom gemstone cuts are not so easy to find. The best place to find kyanite rings? *By far right now the very best resource for handmade kyanite rings is Etsy - here you can find a wide selection of high quality rings made with kyanite gemstones in a variety of cuts and metals. *You can also find kyanite rings on E-Bay, just be sure to use the guidelines below when searching for a ring on this forum. And, make sure your ring always comes with a refund just in case! 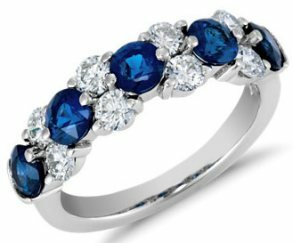 The two best options for finding a kyanite ring is to go with a ring which is set with a cut kyanite gemstone - or work with an experienced jeweler who has a history working with this gemstone. 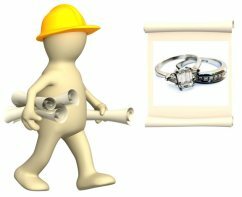 A jeweler can take an uncut gem and cut, and mount the gem, in a ring design of your choice - which is a perfect option if you are looking for a stunning custom handmade ring. But, keep in mind that because of this stone's unique hardness qualities, it is essential to stick with jewelers who have cut, and mounted, loose kyanite gemstones before. Remember what makes a valuable kyanite: color, clarity and cut. Look for eye clean kyanite stones which are a deep blue color with medium saturation and a good level of transparency. Sadly, even though kyanite is a beautiful and medium valued gemstone, recently there has been a rise in kyanite rings on the Internet made with brass rhodium plated bands. 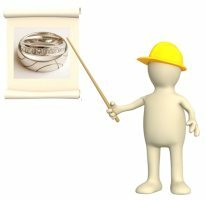 These types of bands will quickly fall apart - and the same goes for any type of gold or silver plated rings. For quality kyanite rings, stick with bands made of solid sterling silver, platinum, palladium or gold. Likewise, to avoid damage to the kyanite gemstone it is best to go with rings that do not require rhodium plate (like yellow or rose gold, palladium, platinum or silver). 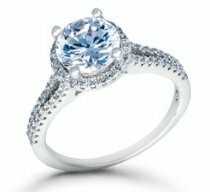 Last but not least, buy from retailers who offer a return policy with the ring, and if you are unsure of the gemstone's authenticity or quality have the stone checked by a local certified gemologist. 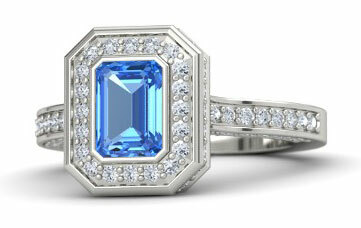 Do you have comments or questions about kyanite rings? Send in your questions and comments, or share pics of your unique kyanite ring here! 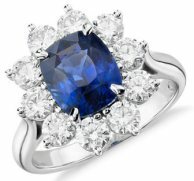 Find the qualities of Blue Sapphire Rings here! 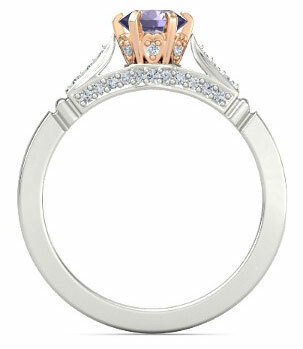 See what you can expect from stunning Tanzanite Gemstone Rings! 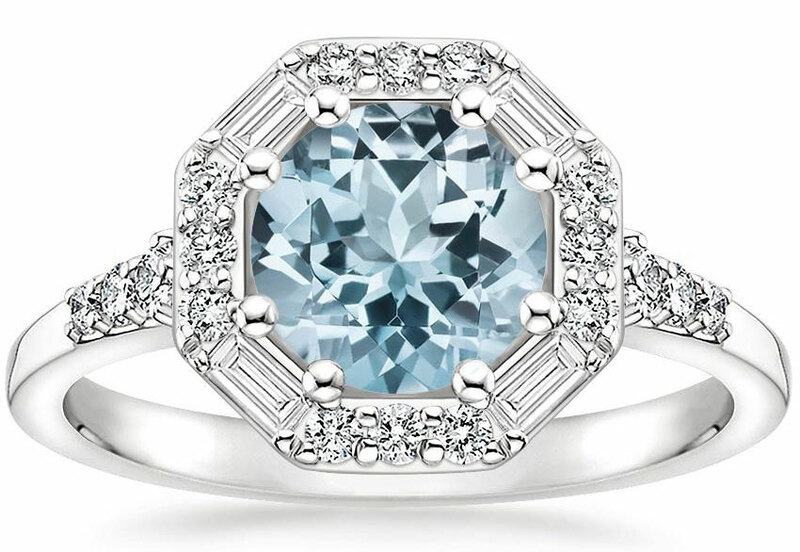 Discover why you'll fall in love with Aquamarine Rings! 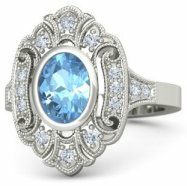 Find the characteristics of bright blue Topaz Gemstone Rings here! 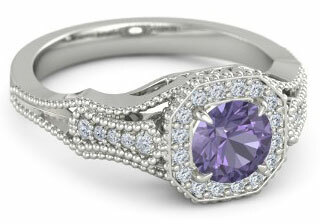 Explore the wonders of amazing Iolite Gemstones! More Blue Gemstone Ring Picks!